Heat oil in a pan, add cumin seed, ginger garlic paste, onion and saute few mins. Add chopped tomatoes and saute few mins. Add all powders to cook, until raw flavours worns off. Add boiled chick peas & check the seasoning. Mix all ingredients except oil , make a fine dough. Allow to proof atleast 45 mins. Deep fry in a oil in both sides. Serve with channa, lemon & sliced onion. I never get tired of seeing this dish, absolutely delicious! Wow! Very nice. Is the addition of yogurt to the flour the difference b/w a normal puri and a bathura? 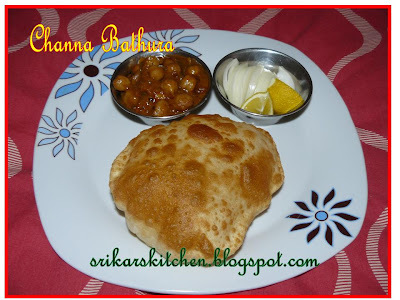 Great Platter...Channa Bathura looks soooo tempting.....Can u pass me the plate please. yummy yummy. .my all time fav.. will try it sometime. WOW.. This is my fav. U pics are tempting me so much. Nice recipe. I also make it almost the same way. YUM! Delicious Bathura..loved that fluffy Bathura..yummy channa..lovely presentation..
Gopi manchurian & channa bathura looks so good & sooooo tempting..Congrats on the award and thank you so much for thinking about me dear! Ooooh that looks lovely! The chick peas and bathura look amazing! Double yum! 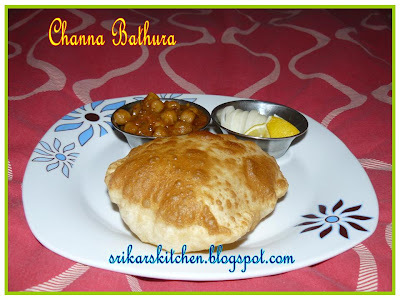 ur channa bathura looks so yummy tht i want to grab it fr here. u hve served it just the way they do at restaurants. thanx for the recipe, will try it soon. just had lunch but I am hungry again looking at that picture. Delcious batura and channa! love this and my hubby's favo too..looks yummy!! Wow that looks lovely and delicious. great picture. Looking nice,I still have not tried channa & bhatura @ home!!! Lovely recipe and the presentation is also great. 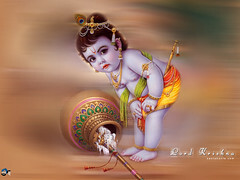 Partha vudane pasikuthu:) Very nice! You have got the Bhaturas perfectly Priya. Chole too looking yummy!